With Netflix’s Marie Kondo special all the rage and her book selling like hot cakes, I wanted to chime in with my experience folding clothes and purging clutter the KonMari way. 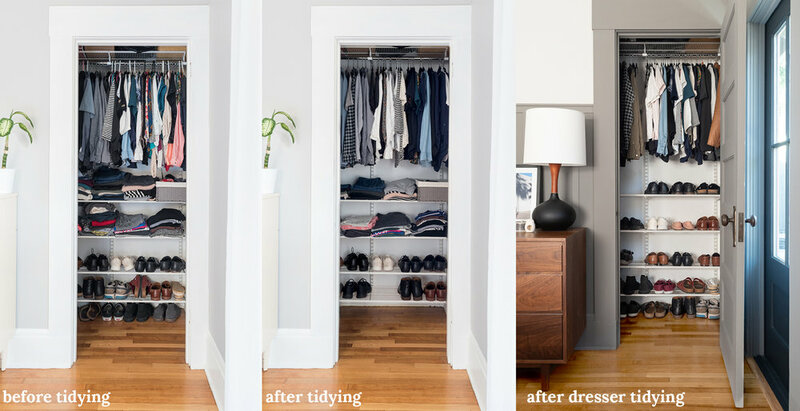 You may remember that a year ago my pal Natasha Habermann helped me clean out my closet using Marie Kondo’s method. I wrote a post all about it and we put together a cute video too, so check it out! At the time, I only had the closet for storage so my folded clothes sat in ugly heaps on the shelves (you can see this at the very bottom of this post or in the closet tidying post). But last year the heavens opened and I was delivered THE most beautiful dresser known to humanity. It’s so pretty that it could stand on its own as a work of art, but I decided to fill it with my garments. Since I had successfully purged the closet in the KonMari way, I figured I should also fold my clothes in the KonMari way. I’ll admit I was resistant at first. I don’t normally go after trends, or go out of my way to make something look pretty at the expense of efficiency. But, guess what. It it’s efficient, it’s tidy, and I’m hooked. Knowing I wanted to endeavor on the KonMari folding train, I called up Natasha again to guide me through the folding process. 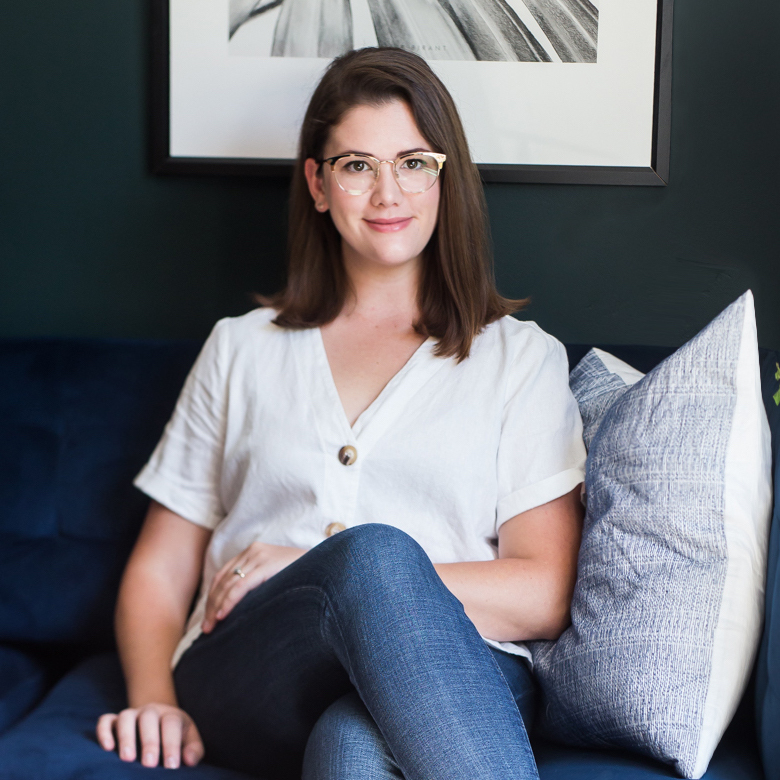 Together we hosted an Instagram Live and she showed me the KonMari ways as well as her adaptations - because every method is allowed some wiggle room. I learned how to fold using Marie Kondo’s method last summer, but since I’m a stickler about reviewing things VERY well before teaching or encouraging you to do it, I waited until now to share. I tested and lived with the new folding technique for six months and it has definitely become my new folding way of life. I encourage you to give it a try! The shape: The idea is to fold your items into tight little rectangles. This is to ensure that they stand and don’t take up too much room in the drawer. The stand: If you fold your clothes correctly, they will each stand up on end. It’s like magic. Once upright, they can be put in your drawers and removed individually without disrupting the rest of the garments. Also, you can easily see what is on your graphic tees at quick glance. No longer do you need to sift through the whole pile to find your favorite shirt. The hand iron: KonMari is big on the hand iron. This means that after each fold you run your hand over the fold to give it a nice crease and flatten it into shape. She does it also to show the garments love, and gives a moment of closer inspection to look for damage. Honestly, I skip this step most of the time and only hand iron to press out wrinkles - I don’t do it every time I make a fold. The main rule of thumb is to make tight little rectangles. 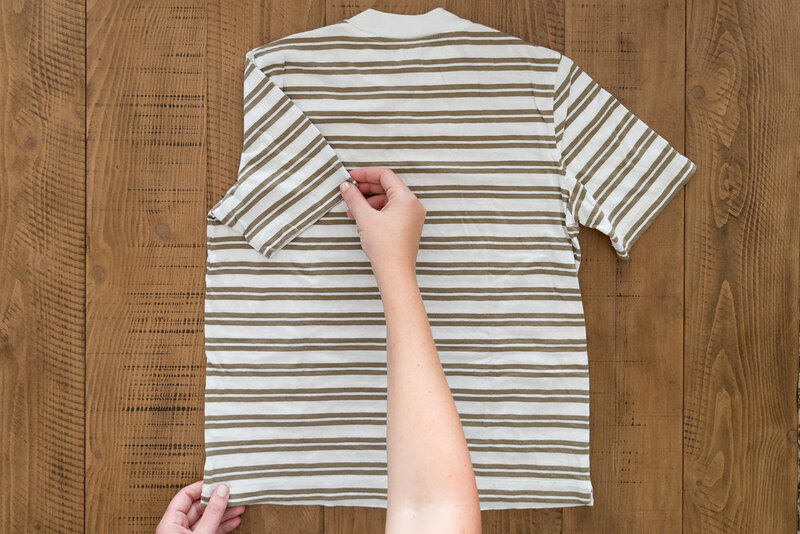 Do this first by folding in the parts of the garment that stick out - think sleeves, hoods, collars, and straps. Then, fold everything into the center, then fold lengthwise in thirds. Each garment is different and depending on the material, it might need a different number of folds. It’s not easy to describe it, so why don’t you watch me? Watch this two minute video I put together to see how I fold! You’ll notice that Natasha and I don’t overlap the folds as much as Marie does (click here to see how she folds a shirt) but we prefer this so items are less bulky. 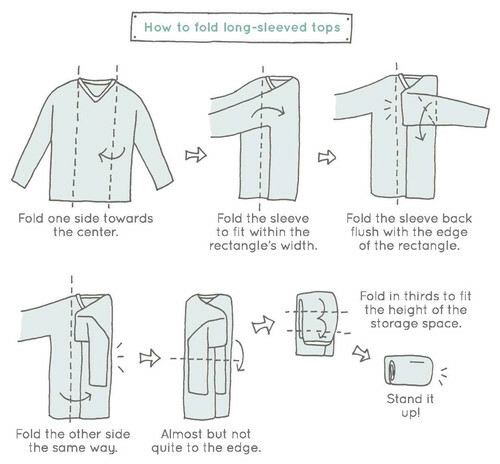 You can adapt your folds depending on the width of your drawers so your garments fit best. I’ve included a handy animation if you aren’t able to watch the video for some reason. But really, the 2 minute video has many more folding techniques than the above animation - so it’s far more informative. It’s set to groovy music, but you could technically watch it without sound if you’re at work, on a bus, or in a public bathroom. No judgement. If you’re in an RSS reader you’ll need to click through to see the animation. My drawers stay SO much neater than they ever did. I used to pull a shirt out of the bottom of the stack and the top shirts got tangled and lumpy. It looks nicer and it makes picking clothes a simpler experience. I wear more of my clothes - I used to forget about the garments on the bottom of the stack. My dresser is going to last so much longer because I’m not shoving too many things in or pushing on the stack to fit them in the drawer. Laundry time is now dedicated laundry time. I used to pile clothes on the ottoman and fold while I watched TV from the couch. Then I’d get up to do something else and leave the clothes. Then the clothes would slip off the ottoman. Then I’d fall asleep on the couch and go to bed then clothes would be sitting there for days on end. I now fold on the dining room table (because it’s closest to the washing machines) and take everything to the dresser after I’ve folded everything. It has totally changed the suitcase game - see below. 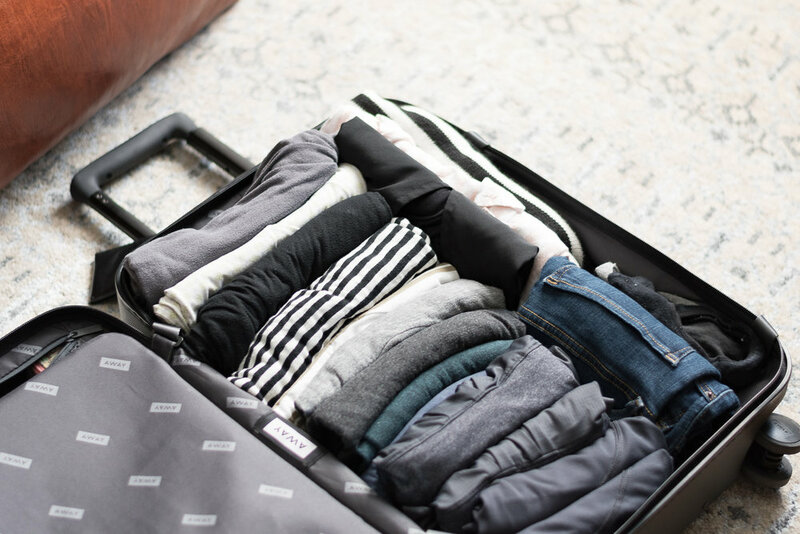 I think one of the best perks to folding like this is the ease of packing a suitcase and managing it while traveling. I used to layer a bunch of clothes in the suitcase and then crammed additional items in to fit into the tiny pockets of space. When I got to the destination I’d either unpack and put them in the hotel dressers (and then run the risk of forgetting them there) or I’d live out of the suitcase and items would be strewn about and hard to find - or worse, they’d fall onto gross hotel carpet. Ew. Not anymore, this is what my suitcase looked like on a recent trip. I’m able to see everything and I don’t need to worry about unpacking because each item is front and center! Side note: I really have a preferred color palette, don’t I? My dresser is now pretty, my suitcase is organized, and now take a look at the evolution of my closet. The room got a new paint job since I did the initial KonMari purge, and the addition of the shoes is because I moved them out of my under-bed storage when we got a new bet. I’m still totally smitten with how tidy my wardrobe is. To be clear, that 2 feet of hanging space is pretty much the extent of my clothes. In the far back of the closet are my coats and outfits for special occasions, but what you see is my main wardrobe. Ross has the same amount of space tucked behind the wall where the dresser is. One day we’ll be remodeling and adding a walk-in closet, but I’m not sure what we’ll do with all the extra space - I definitely don’t want to fill it with more clothes! That’s about it! The video is key to this whole post, so be sure to give it a watch to learn the tricks of the folding game and see how my dresser looks on the daily. Be sure to hop back in time to see how I decluttered my closet with Natasha. If you’re interested in shopping any of my clothes, you can shop my closet. If you want to learn more about the Marie Kondo method, her book is a great resource. P.S. 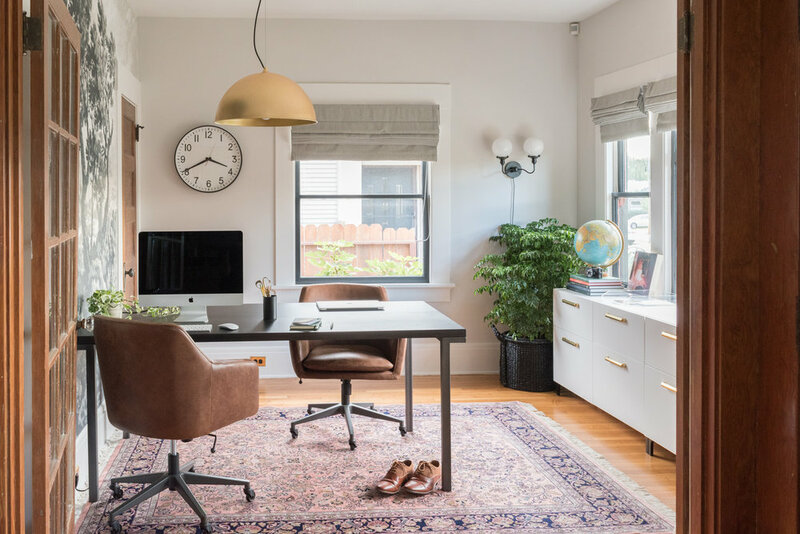 This article gives a different perspective on the Marie Kondo decluttering method and it’s an interesting read.